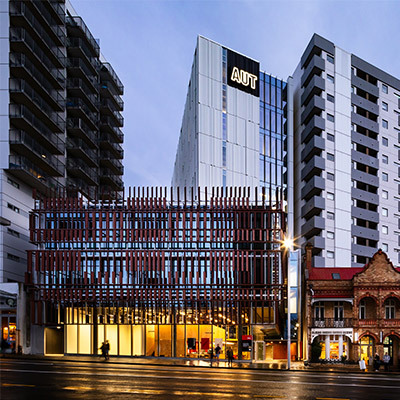 Over the next eight years AUT’s campuses will undergo significant development that will improve student and staff experiences at AUT. 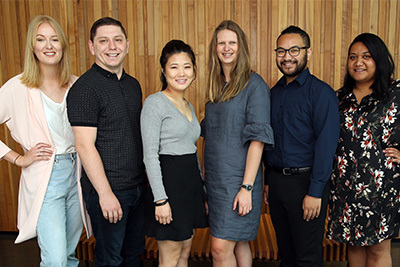 A $250 million budget over this period will see construction and refurbishments happening across the City, South and North Campuses. 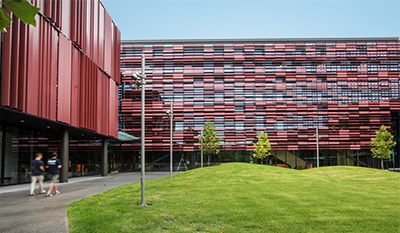 The new building is home to AUT’s School of Engineering, Computer and Mathematical Sciences. 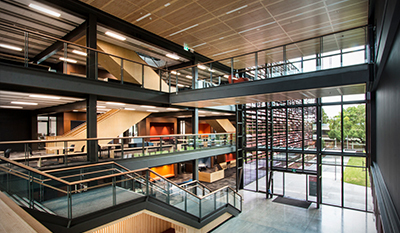 The building is designed to reflect the evolution of teaching and learning in tertiary education. Learning is no longer restricted to classrooms - it's just as likely to happen in a virtual space as a physical one. Students want more collaborative experiences and this new building acknowledges this. The state-of-the art building acts as a ‘living laboratory’ and a medium of study. Theoretical lessons are brought to life by showing students the features of the building that showcase how theory from the classroom has been applied to the building design. Services in ceilings are left exposed, plant rooms have glazed walls so students can see the inner workings of the building, and students and staff can use the Building Management System (BMS) to test and collect data. Areas with dual heating and ventilation systems have been installed so students can compare the two different systems. There are also structure testing labs and a seismic shake table that will help with AUT’s world-class research in these areas. 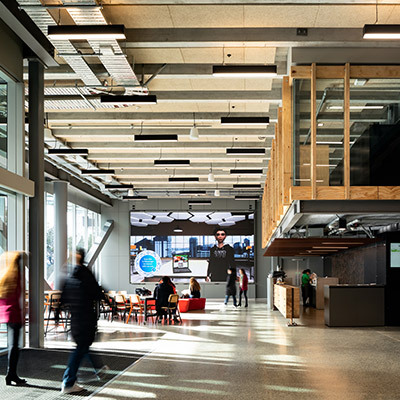 The new MH building at the AUT South Campus provides additional large and small lecture spaces, collaborative social learning areas for students, computer labs, function and conference space, research and postgraduate areas. Demolition of AD building is complete and construction of North Campus’ newest building, A1, and the upgrade of AF Building will begin at the end of 2019.